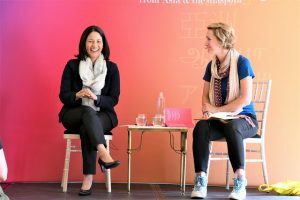 Writer/ photographer Yang-May Ooi had the best seat in the house to capture Mishal Husain in conversation with Bee Rowlatt at the Asia House Literary Festival. 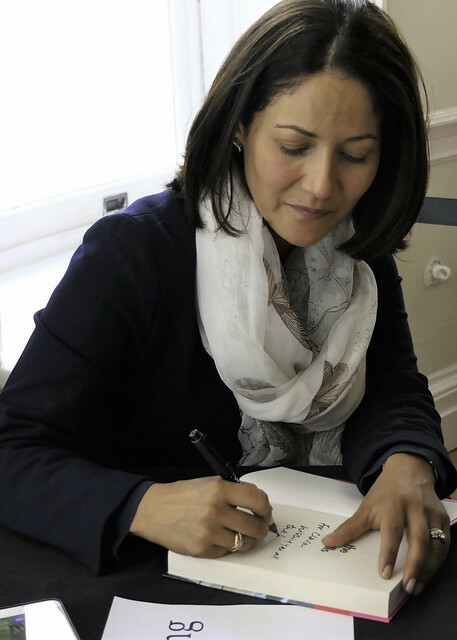 Journalist and BBC presenter, Mishal Husain took to the stage at the Asia House Literary Festival the other day to talk about her new book, The Skills: From First Job to Dream Job – What Every Woman Needs to Know . 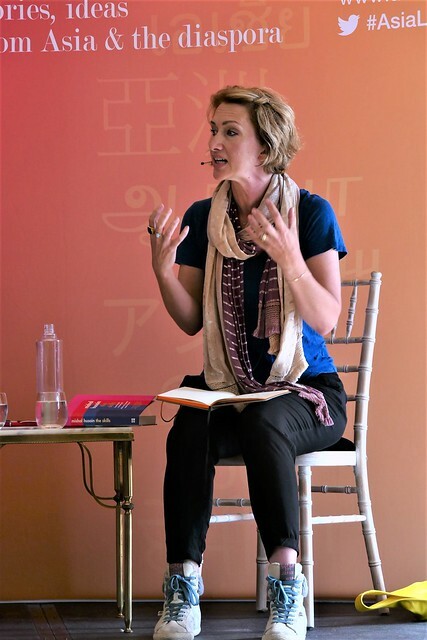 She was interviewed by author Bee Rowlatt and the rapport and chemistry between these two talented and inspiring women were evident on stage, making for a terrific event. Mishal is an early supporter of the charity Pan Asian Women’s Association (PAWA), where I am also a member. PAWA raises funds for girls’ education across Asia. The event at Asia House was co-hosted by PAWA and I had the honour of being the official photographer. 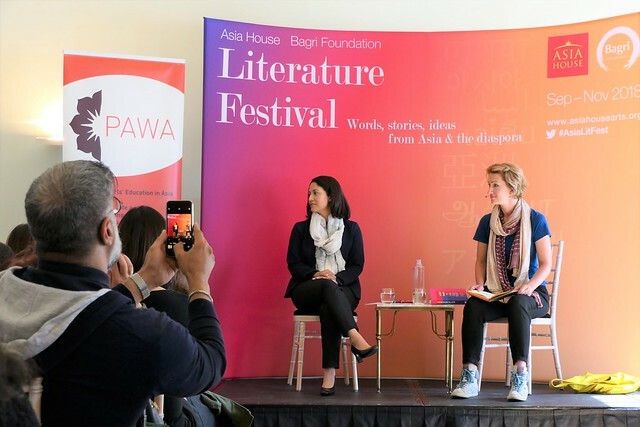 As photographer, I needed a clear view of the stage and found myself in a seat right in the middle of the elegant hall in Asia House, with a wonderful, unobstructed view of Mishal and Bee in conversation. Mishal spoke about how to exude presence and confidence not just on screen for the BBC but generally as a woman in any situation. She shared how she is still nervous when it comes to appearing live on TV, saying that nerves are a good thing and an energy that we can use to our advantage. 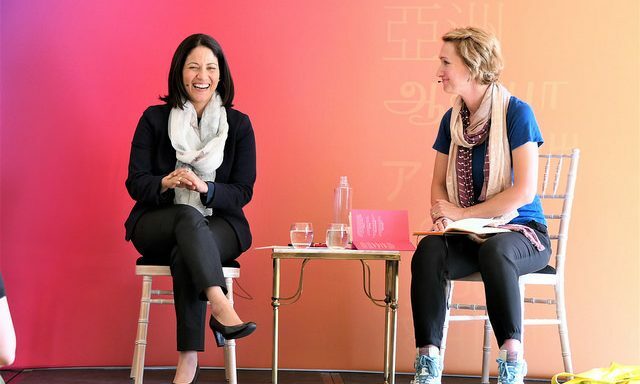 There were tender moments, too, when she talked about her family and also laugh out loud times – for example, when Bee challenged her to give advice to other high profile, high powered women, which was a light hearted and clever way to illustrate the tips for success in Mishal’s book.